Amy Mullins currently serves as Vice President, Private Banking Officer for Columbia Bank, where in her role as a Relationship Manager she provides personal and customized financial solutions to high net worth clients, their families and their businesses, service business professionals and investment real estate owners. Amy enjoys acting as an advocate and ambassador in areas of social justice. Prior to serving as Chair, Amy has held the position of Board Treasurer as Chair of the Finance Committee. 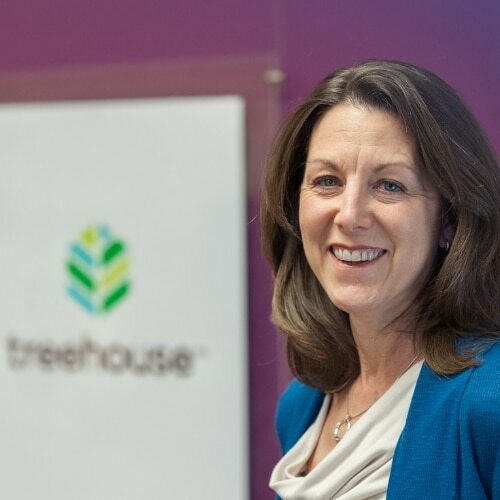 In addition to her activities with Treehouse, Amy has volunteered as a Hopelink financial literacy instructor, a WA DECA Annual State competition judge, and as a team captain of numerous “fun runs” for various charitable organizations in the region.